Liverpool are reportedly already planning for life without Philippe Coutinho by lining up a replacement for the Brazilian. Barcelona have reignited their interest in the No.10 and are expected to make another approach having seen three bids for the No.10 rejected during the summer. Despite the rumours, it remains unlikely the Reds will allow their talisman leave amid such a gruelling period for the club. 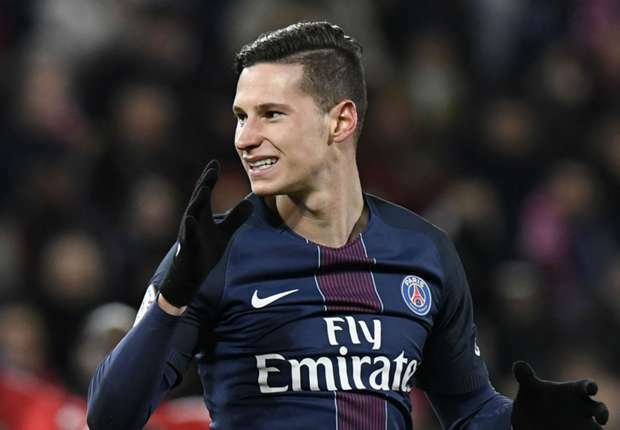 Jurgen Klopp has identified Paris Saint-Germain star Julian Draxler as an attacking target capable of filling the void that would be left were Coutinho to depart, according to Telefoot. Draxler’s name has drifted on and off Klopp’s transfer wishlist over the past year, with the German’s position at PSG continuing to come into question. Talk of a departure comes as no surprise given the difficulty he faces in holding down a regular starting spot with the likes of Neymar and Kylian Mbappe now on the scene at the Parc des Princes. The German would represent wise business having captained his country to Confederations Cup glory earlier this year and played with some of the top players in Europe. His talent has inevitably also attracted interested from elsewhere, with Arsene Wenger believed to be a long-term admirer of the 24-year-old. Speculation linking Draxler to Anfield arrives almost in parallel to suggestions Barcelona will table a £71million bid for Coutinho in January- an offer significantly lower than the £118million they table in August. Bizarre.